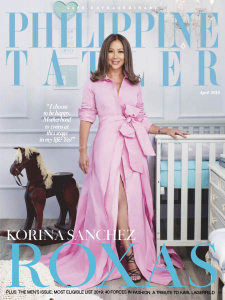 Philippine Tatler - 04.2019 » Download PDF magazines - Magazines Commumity! The ultimate arbiter of high society, taste and glamour, Philippine Tatler provides exclusive coverage of the best local and international events. The magazine provides our highly affluent and cosmopolitan readers with essential information on the finer things such as arts and culture, business, travel, trends, and food or wine.